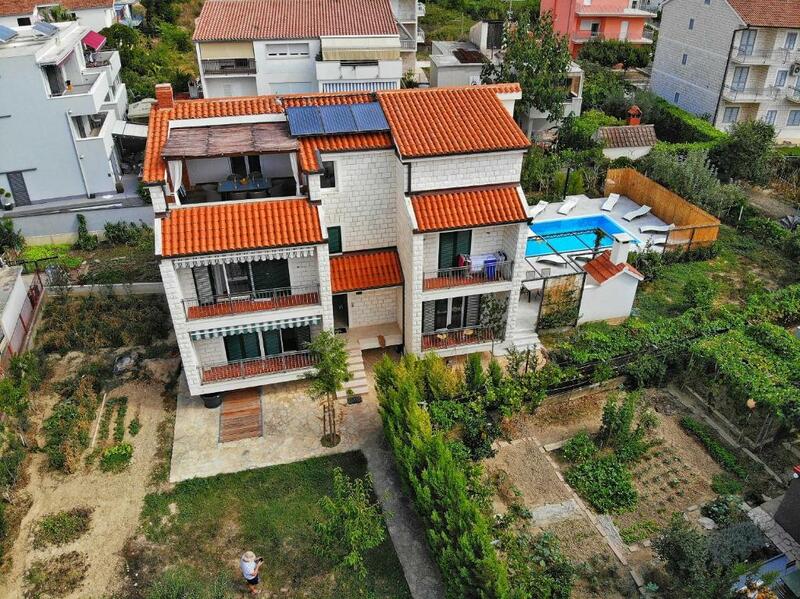 Great location, great apartment, great family members, and great vacations in Croatia. Always prepared to help us, great barbecue made to my family, and great evening in the pool with very pleasant moments ! We will be back to see the rest of the country, and wishing the prices be the same, because the relation price/quality is very different (maintain the prices for me please 😂😉) ! We pay less that we have to pay in one apartment like those given to us ! Really appreciate all the days in the apartment and all the family ! Thanks for the unforgettable memories in Croatia ! We loved this place. The hosts were so nice, friendly and helpful. They gave us clean towels every time we needed it. They were just so sweet and nice. Anything we needed or asked about, they helped us with.The place was spotless. It looked brand new and was so clean. You share a lovely pool and a back garden with just one other flat. You have nice sun-beds and a big barbeque you can use. It`s just 10 minutes walk to a nice big supermarked and 10-15 min walk to the local beach. There are several restaurants in walking distance and bus-stop to Split. We loved our stay and would love to go back. The best hosts we`ve ever had! Alles! Gastgeber super freundlich und hilfsbereit ! Vi var ensamma där och hade fri tillgång till poolen. Värden var mkt trevlig. La famiglia che gestisce l'appartamento è disponibile, solare ed ospitale.ci siamo sentiti a casa nostra in tutto. 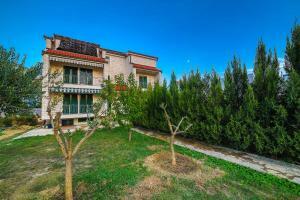 Lock in a great price for Apartment Vrkljan – rated 9.8 by recent guests! 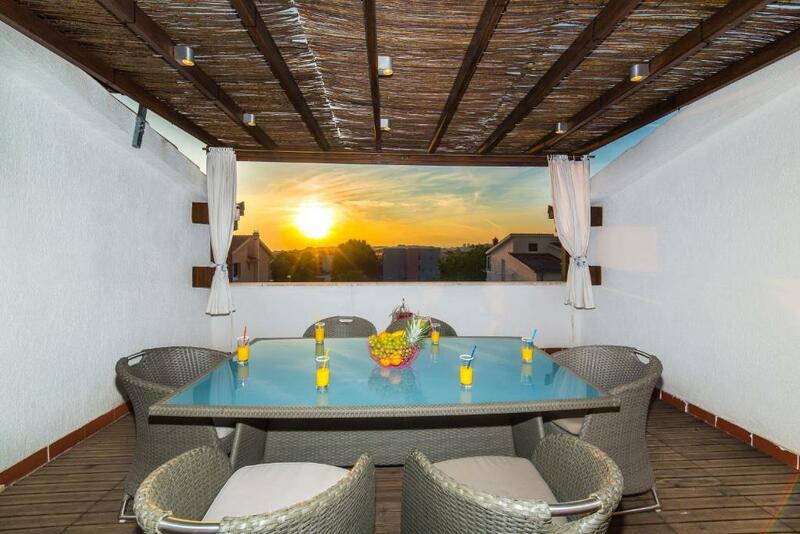 Apartment Vrkljan is provides accommodations with a seasonal outdoor swimming pool and free WiFi in Podstrana, a 7-minute walk from Tourist Board Podstrana. 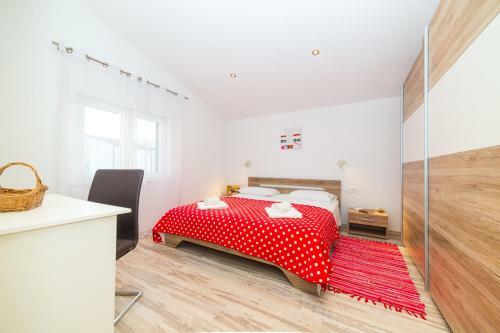 The units have hardwood floors and include a seating area with a flat-screen TV, a fully equipped kitchen with a dining area and a private bathroom. Some units have a terrace and/or a balcony with pool or garden views. 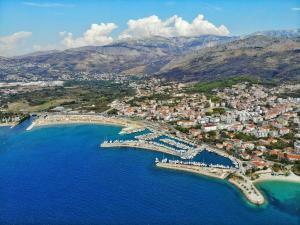 Strozanac Port is 0.4 miles from Apartment Vrkljan, while Cindro House is a 9-minute walk away. 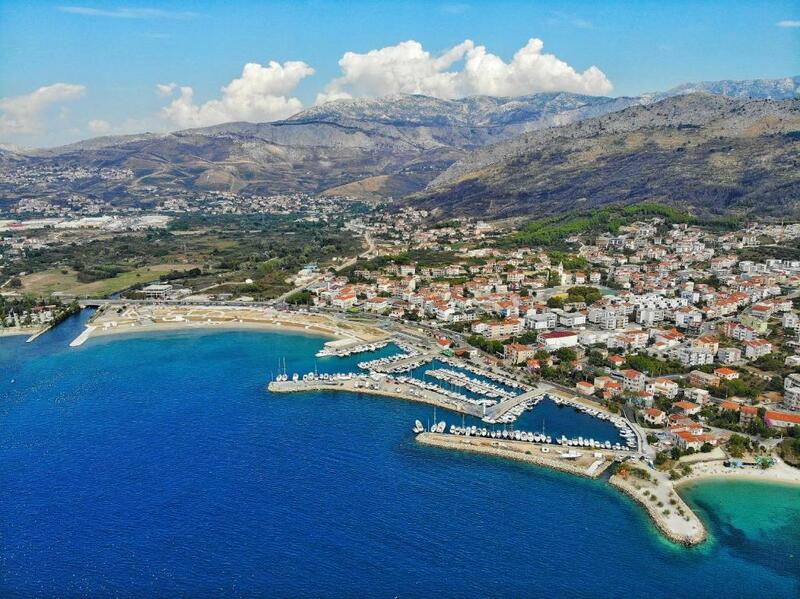 The nearest airport is Split Airport, 16 miles from the property. This property also has one of the top-rated locations in Podstrana! Guests are happier about it compared to other properties in the area. This property is also rated for the best value in Podstrana! Guests are getting more for their money when compared to other properties in this city. 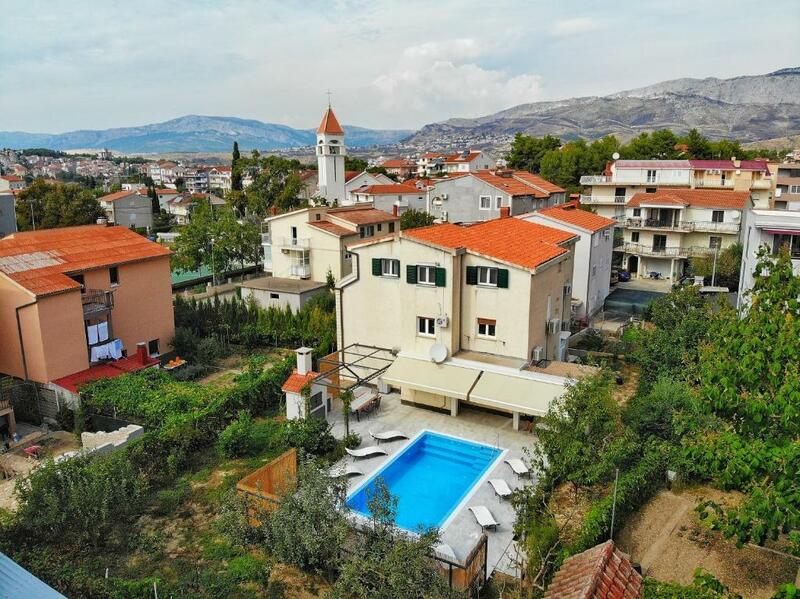 When would you like to stay at Apartment Vrkljan? 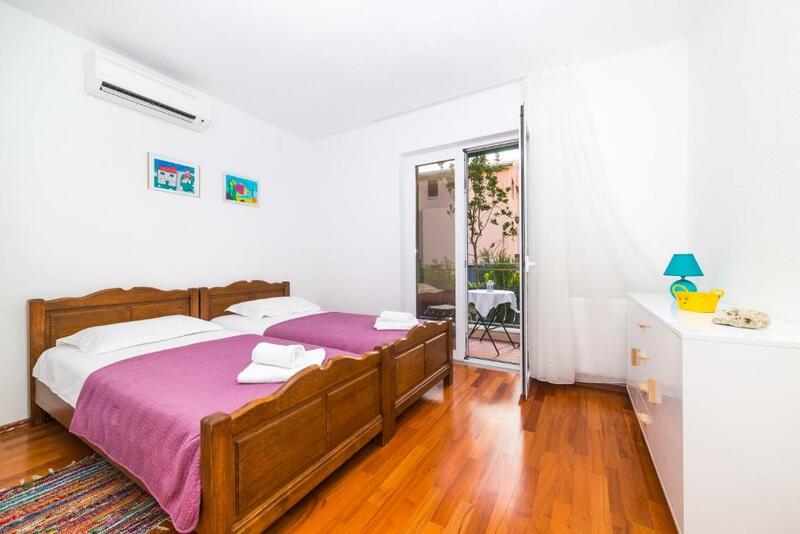 This apartment features a toaster, washing machine and air conditioning. House Rules Apartment Vrkljan takes special requests – add in the next step! Please inform Apartment Vrkljan of your expected arrival time in advance. You can use the Special Requests box when booking, or contact the property directly using the contact details in your confirmation. Nothing bad to appoint ! !